The number of poles is the number of separate switches that a single switch contains. A 3P switch is the equivalent of 3 separate switches in one package. 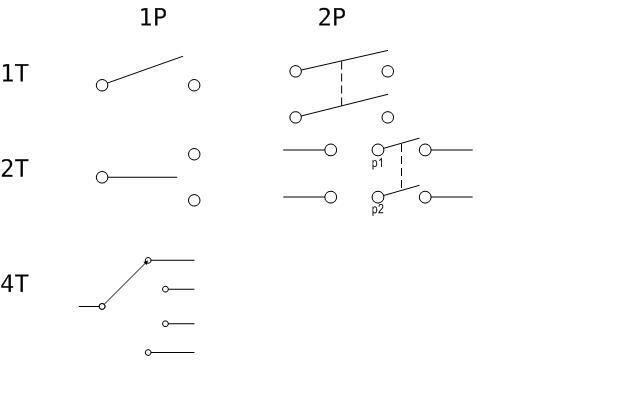 The number of throws is the number of different lines that an incoming pole can be switched to. A 1P4T switch can switch a single incoming pole to any of four different lines. This page was last modified on 17 May 2010, at 14:11.